This episode covers an overview of the basic spearfishing beginner setup. We cover the speargun, rigline, speed spike, float and flag setup every new spearo should be using. This episode is right back to basics and is all about helping new spearos to keep it simple. The temptation in spearfishing is always to over-complicate your equipment, in this episode we try and layout the reasons why you should keep it simple and how that basic setup will operate. Hard vs Inflatable. Overview of the pro’s and con’s. We also chat about counterweights, comp or boat floats and more. We even talk about the brands we started with. Multiple anchor points are a great idea on your float and also having a float that can support your body weight is important for when you get tired. Alpha and Diver Down Flag. Pictured below are the two flags used by spearo’s in different parts of the world. 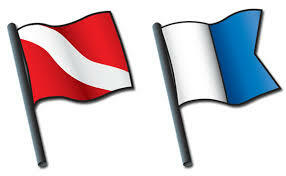 USFA have put together an article here about why all spearos should have and use dive flags and also educate the boating world about what they mean. Floatline or Rigcord. 15 m or 50ft of telecom line here in Australia is great for starting out and definitely wont break the bank. Pictured below are a few options from Adreno at a variety of price points, hardware stores also have some similar braided line that is fine for starting out. 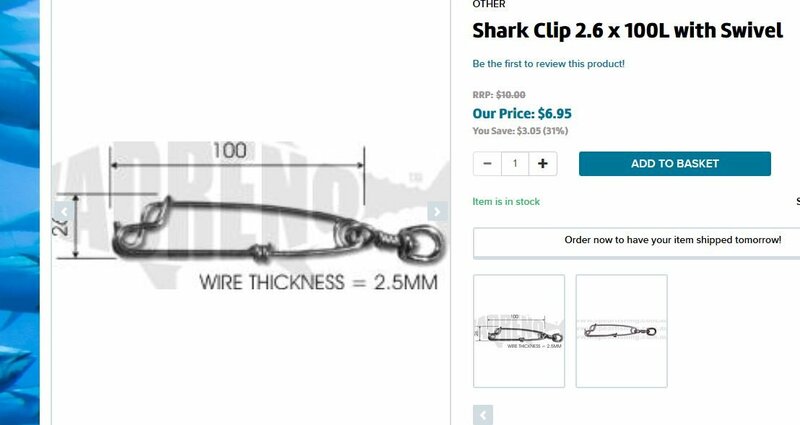 Ski rope is also a cheap alternative and many spearos talk up the benefits. The next option up is the hard plastic coated line that have dyneema running through the centre. These lines are sealed with swivels at each end and have a point to clip onto. We discuss the pro’s and cons’ of these options along with the top of the line expensive stuff. We also talk about all the practical advantages of using a floatline and why we recommend it. 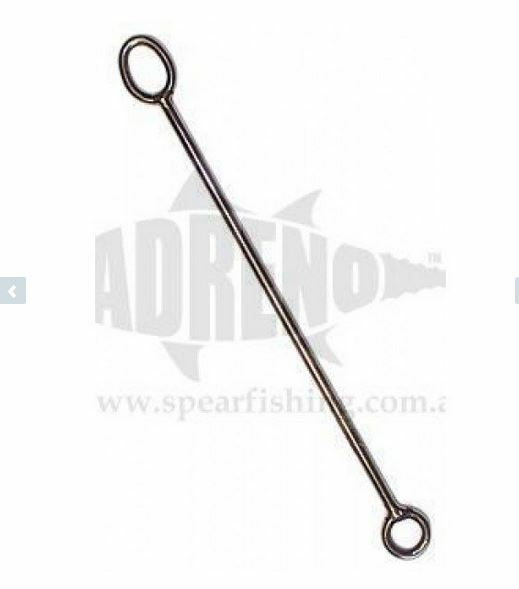 Also here is a video tutorial from Adreno about how to choose a float line. For all your Spearfishing equipment needs go to www.spearfishing.com.au or visit their stores in Brisbane, Sydney and now – Melbourne. Big Birthday Sale on Now! Use the code NOOBSPEARO to take advantage of this exclusive online deal. You get $20 off every purchase over $200, this is a discount code just for listeners of the Noob Spearo Podcast! Speargun. 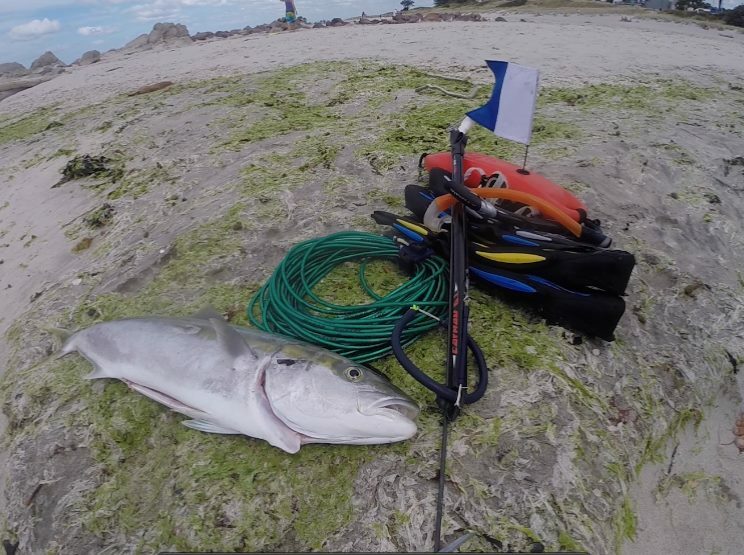 What size speargun and why for starting out shorediving. We go over Ian Puckeridges setup and emphasize the simplicity. We neatly avoid the wood vs alloy vs carbon fibre style guns as this is more about personal preference and the type of speargun spearo’s start with tends to be the type of speargun they stick with forever. Managing your setup. Float-line awareness, from duck-diving to taking a shot on a big hard running fish.